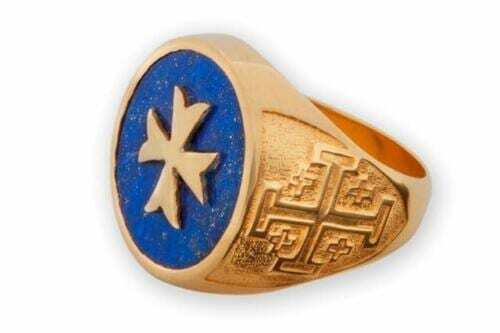 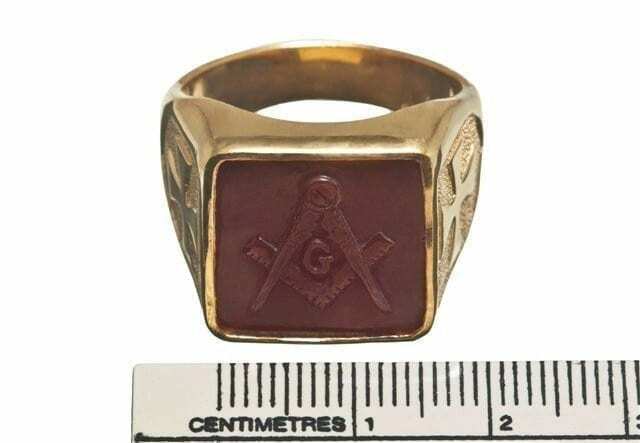 Masonic ring set square and compass. 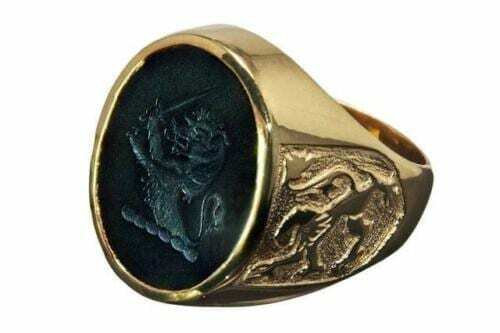 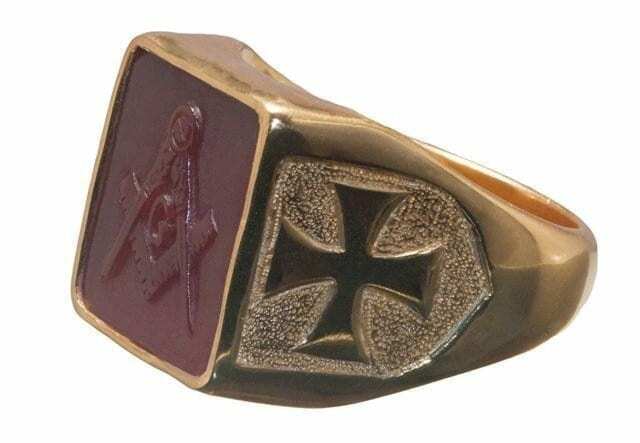 Sculpted red agate with the image of The Templar cross embossed on each ring shoulders. 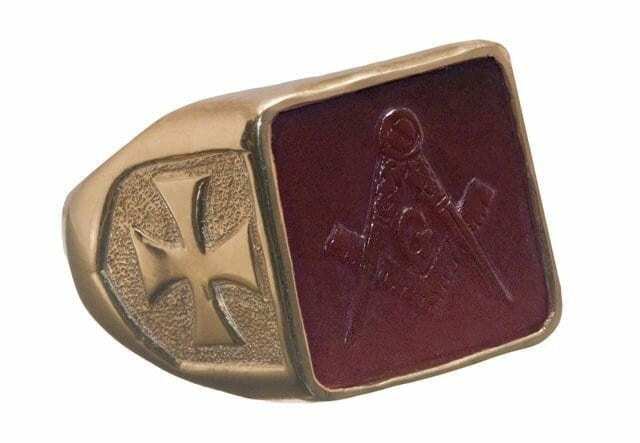 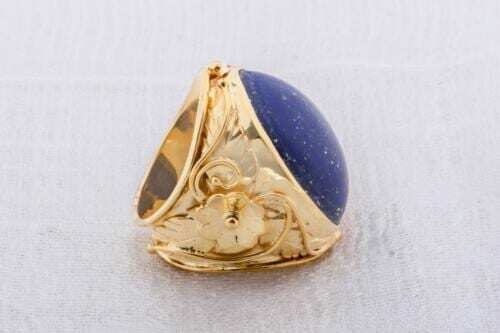 The square stone is mounted to a gold plated (5 Microns 18K Gold) sterling silver. 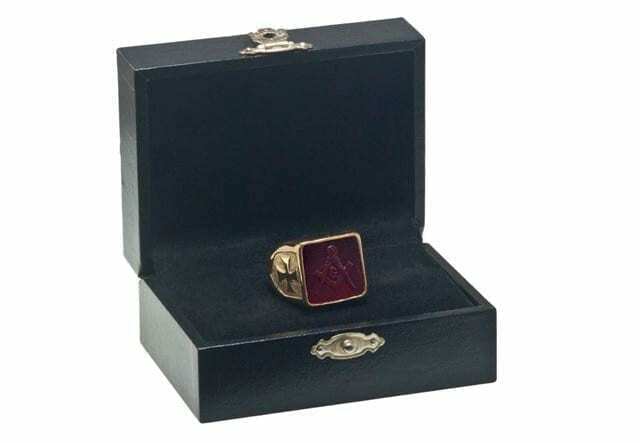 The square stone face measures 16 x 16 mm (5/8 x 5/8 Inch).